Here we are at the beginning of Stour Street. St. Mildred's Tannery on the left and Rosemary Land Car Park on the right. 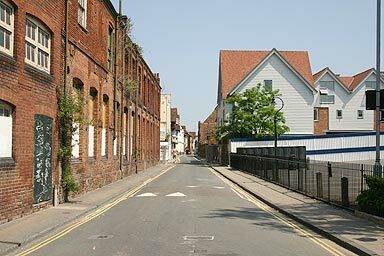 Carry on to find Canterbury's main street, or turn right for Rosemary Lane leading to Castle Street.